Sometimes cakes and cupcakes need to look as incredible as they taste, like for birthday parties or baby showers. But transporting a cake even just a few feet can lead to a smeared-icing disaster. A good recipe for royal icing, designed specifically to dry quickly, is a valuable baking trick. 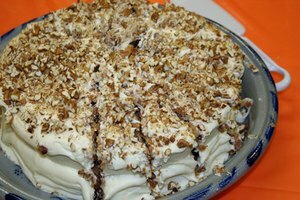 For hardening other types of frosting, time and temperature are the key factors. This recipe yields about 5 1/4 cups of icing and can be halved or doubled as needed. Place eggs whites and vanilla in a stand mixer and beat the ingredients into a froth. Stir the confectioners' sugar in bit by bit. Then, put the mixer speed on a high setting, whipping the ingredients until they stand up. Look for stiff, very glossy peaks, which should form after about 5 to 7 minutes. The right consistency is important, or the icing could turn out runny or too stiff. Move the icing immediately to a pastry bag for piping, because royal icing hardens when exposed to air. Alternatively, the icing can be kept refrigerated in an airtight storage bag for a couple of days. Make sure baked goods are fully cooled before applying icing. This process can take up to several hours, but it’s well worth the wait, because frosting is easiest to work with at room temperature, and it dries much more quickly this way, too. Before hardening the frosting, apply it to the cake or cookies first. 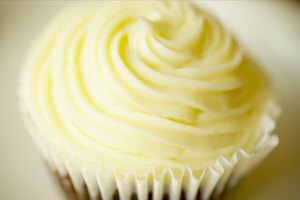 Frosting goes on smooth when it's fresh, and it's difficult to work with even when slightly dry. All kinds of icing harden over time, so leave it sitting out at room temperature, and it’ll eventually become firm. Use this as a last resort, because it may sacrifice the freshness of your baked goods.